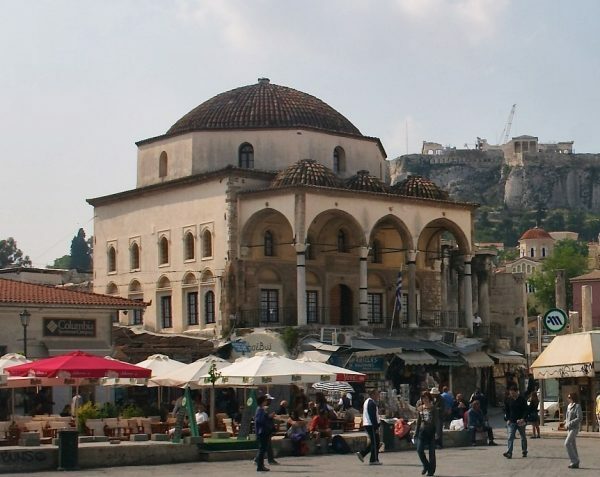 The first official mosque is to be erected in the Greek capital, Athens, ending an almost two-century ban on building a Muslim worship place by the government. Photo: An annex of the Museum of Greek Folk Art, the Tzistarakis Mosque in the center of Athens, in use until the end of Ottoman rule in 1832. This month, the government passed a bill to accelerate 10-year-old plans to build a mosque in the Athens neighbourhood of Votanikos. No new mosque has been built in Athens since the Ottoman Empire’s rule ended over Greece in 1829. Islam was the official religion of the old Ottoman Empire and up to one million Muslims are still believed to be living in Greece. In Athens alone, approximately 200,000 Muslims are using an estimated 100 informal mosques, mostly in garages or converted basements, for prayer and other forms of worship. With the recent arrival of refugees from the Middle East and North Africa this number has risen even further, intensifying the need for more mosques. Athens is currently the only EU capital without one but that is now set to change. The new bill foresees the allocation of 946,000 euros ($1.1 million) to build a mosque on an unused naval base owned by the Greek navy. Some Muslims, however, say the site is located in a remote industrial zone, situated between haulage companies and abandoned warehouses, and not suitable for an official mosque which would be more convenient for public near or in the city center. “We are Greek citizens and taxpayers and it is our right. We deserve to have a place to pray with dignity,” says Naim Elghandour, an Egyptian who has lived in Greece for 44 years and is the president of the Muslim Association of Greece. After the Ottomans lost their power in Greece, the old Greek Orthodox Church became the religious authority over the country, eliminating the influential signs of the former regime. The present Tzistarakis Mosque in the center of Athens was one of the last remaining mosques in Athens from the Ottoman’s era which was converted into a prison and a museum of folk art later.